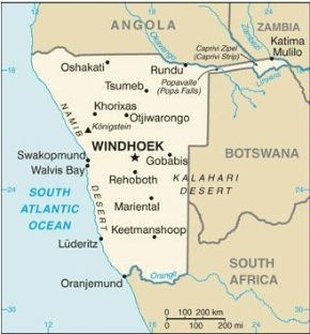 Namibia can be characterised as a democratic one-party state. While elections are free and fair, it has been ruled by the same party – SWAPO – since independence, organised political opposition is minimal and there is close overlap between ruling party and state. On 21st December 2017, the feminist organisation Women's Leadership Centre (WLC) organised the first Namibian Lesbian Festival in the country's capital Windhoek. The festival gathered more than 80 LGBTQ women from eight regions of the country who came together for the first time. On 21st December 2017, the feminist organisation Women's Leadership Centre (WLC) organised the first Namibian Lesbian Festival in the country's capital Windhoek. The festival gathered more than 80 LGBTQ women from eight regions of the country who came together for the first time. Liz Frank of WLC said that young lesbians in Namibia face discrimination, stigma and violence in their daily lives, a legacy of the years of harmful and discriminatory speech from some political leaders in Namibia. "We are holding our President accountable to his promise of building an inclusive Namibian house for all, in which no one should feel excluded. We are challenging those who still want to use 'authentic African culture and identity' or religious discourses to dispute the indivisibility of dignity and rights". On 19th January 2018, over 30 residents of Cleveland farm peacefully protested to demand resettlement from the government. The protesters marched to the office of the governor of Otjozondjupa and handed over a petition. Livestock farmers on the Cleveland farm were evicted by the Otjiwarongo municipality when it leased a portion of the land to Cheetah Cement factory. The farmers claim that they should have been allowed to stay on Cleveland farm per an agreement with the late governor of Otjozondjupa. In November 2017, workers at Swakop Uranium's Husab Mine - east of Swakopmund - organised a peaceful protest over unequal salaries for similar jobs performed as well as what they believe have been unfair hiring policies and practices. The Mineworkers' Union of Namibia supported the protest and attempted to negotiate with the company on behalf of the workers. In September 2017, a former mayor and architect chained himself to a pole outside the Ministry of Works and Transport in protest over the Ministry's alleged disregard for Namibians with certain professional backgrounds, including architects. His placard read: "Slaves for hire/for sale. The Namibian House is selling its professionals: architects, engineers, and quantity surveyors". At the time of the protest, the Namibian government was considering an extension to an expired agreement with Zimbabwe that allows Zimbabweans with certain trades and professional backgrounds to work in Namibia. Chapter 3 of the Constitution upholds the right of association. This right is largely realised, including for trade unions, although the government is sensitive about the expression of political and human rights dissent by civil society and has threatened and harassed CSOs on occasion. Chapter 3 of the Constitution upholds the right of association. This right is largely realised, including for trade unions, although the government is sensitive about the expression of political and human rights dissent by civil society and has threatened and harassed CSOs on occasion. In 2016, the Vice Chairperson of the Caprivi Concerned Group reportedly received threats and sought asylum in Botswana; there is a history of intimidation towards Caprivi separatists. Trade unions remain close to the ruling party but have developed more critical distance recently.Civil society has expressed concern about the 2012 Combating and Prevention of Terrorist Activities Act, which contains broad and vague provisions that could be used to restrict human rights. Further, the Research, Science and Technology Act, which came into force in 2011, requires a permit for any research, and as this is defined in very broad terms, could potentially constrain advocacy-oriented research. A Civic Organisations Partnership Policy, produced by the government in 2005, was largely rejected by CSOs on the basis that they did not have input in its development. Chapter 3 of the Constitution also recognises the freedom of assembly. This is generally upheld, although workers in parts of the public sector deemed essential have no right to take strike action. Chapter 3 of the Constitution also recognises the freedom of assembly. This is generally upheld, although workers in parts of the public sector deemed essential have no right to take strike action. A spontaneous demonstration in 2014 against the mayor of Windhoek’s attempt to sell state land at far below its market rate to members of his circle attracted 14,000 people and forced the government to act. The freedom of expression is recognised in Chapter 3 of the Constitution. Namibia ranks higher on media freedom indices than most African states, and a media ombudsman office has been in existence since 2009 and acts independently of the government. The freedom of expression is recognised in Chapter 3 of the Constitution. Namibia ranks higher on media freedom indices than most African states, and a media ombudsman office has been in existence since 2009 and acts independently of the government. The state broadcaster depends financially on the government and tend to express government viewpoints, although there are also some programmes where people are given a chance to share other opinions, and the government-funded newspaper New Era also covers critical material.The government occasionally reacts angrily to criticism and makes threats; this may lead to self-censorship. A number of privately-owned newspapers are critical of the government. There are no restrictions on internet access and growing use of social media to express dissent, although limited internet infrastructure remains a challenge.A decade-long ban on government advertising in The Namibian, the leading English language daily newspaper, was lifted in 2011.Defamation remains a criminal offence.There is no access to information law, although civil society has campaigned for this and the government has committed to introducing one. In general, there is a tendency towards secrecy. Under the 2009 Communications Act, state intelligence services can monitor internet usage without requiring judicial approval, while some apartheid-era secrecy laws remain on the books.